Kim Jee-woon’s follow-up to The Good, the Bad and the Weird is a vicious, diabolically twisted tale of murder and revenge that pushes the serial killer thriller to compelling new levels of extreme pain and philosophical depth. 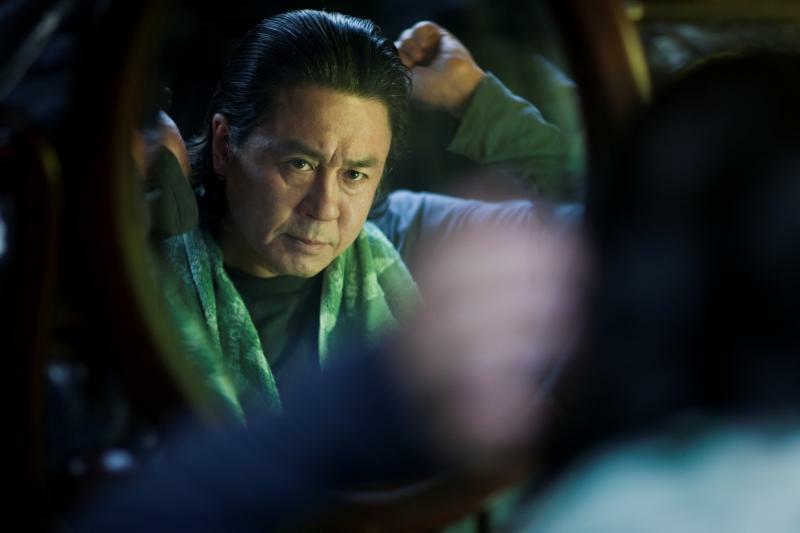 Staring Oldboy‘s Choi Min-sik in the role of a dangerous psychopath killing for pleasure, the film starts when, one night, he hatchets the pretty fiancée of National Intelligence Service agent Soo-hyun (The Good, the Bad and the Weird‘s Lee Byung-hung). Instead of letting the police deal with the crime, Soo-hyun goes after the murderer himself in order to put him through the same pain his deceased lover has suffered and, ultimately, much more than that. Displaying every detail of the gruesome horrors perpetrated by both lead characters during their fast-paced, exhausting cat-and-mouse chase, I Saw the Devil is a disturbing yet witty and enjoyable take on the genre. Featuring stunning visuals, it builds up to an utterly unexpected ending. Pamela Jahn caught up with director Kim Jee-woon after the premiere of the film at the London Korean Film Festival in October 2010 to talk about lucky coincidences, Nietzsche and the dilemma of ultimate revenge. Pamela Jahn: You mentioned last night at the Q&A that you never watch your own films once they are finished. Why is that? Kim Jee-woon: First of all, I get a bit bored after the whole editing process, so the technical screening is usually the last time that I see the film. But mainly it’s because otherwise you see all the little mistakes coming up on the big screen and it sort of hurts to sit all the way through them. The films I make without pressure and without grief, like short films, are not a problem, but my feature films I do find very difficult to watch again. This is the first time you are adapting a script from someone else rather than writing your own. How did the collaboration with Choi Min-sik come about? When Choi first approached me with this project I was working on a different film, but it got delayed for a year and I thought I couldn’t just rest and do nothing. I needed a script because it would have taken too long to develop something new from scratch. So I was in a bit of a dilemma when exactly at this moment Choi, who plays the serial killer in the film, came to me with this script, and suddenly everything fell into place. When I first read the script it felt very new and powerful but at the same time it had a brutal and tough side to it, which got me interested. I thought one of the most important things to make it work was to find the right antagonist for Choi Min-sik’s character. Luckily, at the same time I met Lee Byung-hung, who I thought had gone to the US to shoot G.I. Joe 2. When we sat next to each other at a premiere he told me that his project had got delayed for a year too, just like mine, so I adjusted the script and he instantly liked it. It was all very fortunate for us, especially because the film is Choi’s comeback after three years off screen, and it is a very strong comeback, I think. Despite being a gory revenge thriller, I Saw the Devil sometimes seems like a twisted examination of human emotions and their ties to antiquated moral notions of sin and justice. Revenge films normally follow the same dramatic structure: you torture the criminal and, in the end, the protagonist gets his or her revenge, and the audience finds some sort of justice in that. But I thought that sort of ending is a lie because the question I kept asking myself was whether it was actually possible to carry out ultimate revenge without destroying yourself. This is what I tried to portray here. Nietzsche said anything done out of love is beyond good and evil. Do you see this as the moral behind the film? Nietzsche is giving a warning that in order to kill the devil you have to become the devil yourself, and it is exactly this dilemma that I have tried to express in my film. In other words, the film is not about the sadness about the person who dies but it’s about the torture for the ones who live and are left behind. Soo-hyun realises that physical pain is no longer significant and he carries out revenge through psychological violence. And although he knows that what he’s doing is morally wrong, it is an inevitable decision on his part. But his choice in revenge methods shows the relationship between revenge and success in that, in order to succeed, you have to become the devil. It is a reflection of the endless suffering within the character. The audience experiences the different methods and levels of revenge through the violence but actually, at its heart, the film deals more with the emotions behind the revenge. Lee Byung-hung’s character not only feels the pain about having lost his fiancée but, working as a NIS agent, he also suffers from the guilt and inner turmoil that he wasn’t there for her when she needed him. It almost seems that the latter becomes the stronger motif for his revenge. Because he works for a national security team and because his job is obviously to protect others, the fact that he wasn’t able to protect the one he loves brings a false irony into play. Of course, he wants the killer to feel the pain he feels, but he actually dreams of ultimate revenge. So in that sense it is a very narcissistic kind of revenge. But at one point in this process he becomes dangerously obsessive and soon he starts making mistakes and he also abuses others along the way. This is shown at its most extreme in the last act of revenge and the way he inflicts pain on others. You don’t provide much back story about Choi’s character or clues as to why he becomes a serial killer in the first place. What is it that motivates him to murder women? His family is seen in one scene when Soo-hyun goes to their house and you realise through their dialogue that Kyung-chul left his son and that the relationship between his parents and him was not harmonious either. So there are a few hints about his personal history. But for me the question was more, ‘how is he going to kill next?’ and not why. The focus was primarily how, and not why, he becomes a serial killer. What struck me is the use of classical music, especially the opening sequence as the wife’s head is found in the river. Is there a special link for you between classical music and killing? I wanted the film to start with a very sentimental feel and to make a huge impact through the thriller action opening because this is the moment Soo-hyun feels the most emotional pain and rage, and I tried to intensify these emotions through the use of very passionate operatic music, which becomes like the surface of his inner turmoil. But having said that, when we first started to discuss the possible background music for the film we were actually tending towards more minimalistic music. It was only after having seen the energy of the actors and the strength of the visuals and the performances that we realised we needed something more powerful to go with it. The minimal music simply didn’t work. You also employ a very morbid sense of humour. How much of this was in the original script? Or did it come naturally while you were shooting? There was only one funny scene in the original script, which is the scene when the car full of soldiers drives up to Choi. The rest of the humour that is used in the film simply came through the production. Some of these moments came to me like sparks and I used them to develop a pattern of tension and relief within the film in order to create some sort of rhythm and a unique style. Despite its level of violence, the film received a 14+ rating when it screened at the Toronto Film Festival, whereas the Korea Media Rating Board initially gave it an R rating, which effectively banned the film from theatres in South Korea. What was your feeling about the audience in Toronto? Screening the film at the Toronto Film Festival gave us the opportunity to have a more liberal forum and I felt that the audience were looking at the film within its genre rather then focusing simply on the violence. I think they understood that the violence was just one characteristic of the genre, which helped to contextualise it. I hope that people here will watch it in this way too. How much of a relationship is there between you and other Korean directors like Park Chan-wook and Bong Joon-ho? Park Chan-wook, Bong Joon-ho and I are friends and we sometimes see films together and we look at each other’s scripts and give feedback to each other. But the most important thing for me is that we have a similar taste in films. As for I Saw the Devil, Park recently expressed his desire to work together with us on the commentary for the DVD release of the film, which is great. So watch out for that. Read the review of I Saw the Devil.